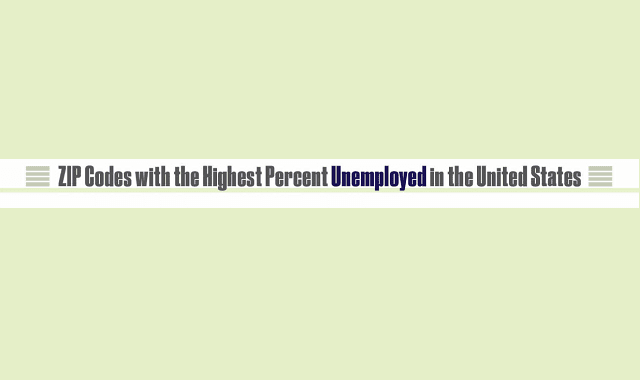 Which ZIP Codes Have the Highest Percent Unemployed in the US? #Infographic ~ Visualistan '+g+"
Currently, the unemployment rate in the United States sits at about four percent, and it's fortunately been decreasing every year since the economic crisis in 2009. At that time, America's unemployment rate was closer to ten percent. However, national statistics have shown that there are communities and cities across the country that are still way more effected by it than those in other parts of the United States. Outlined here in this infographic, you can see that the unemployment rate either jumps up or decreases depending on the city, county, and state that you live in. 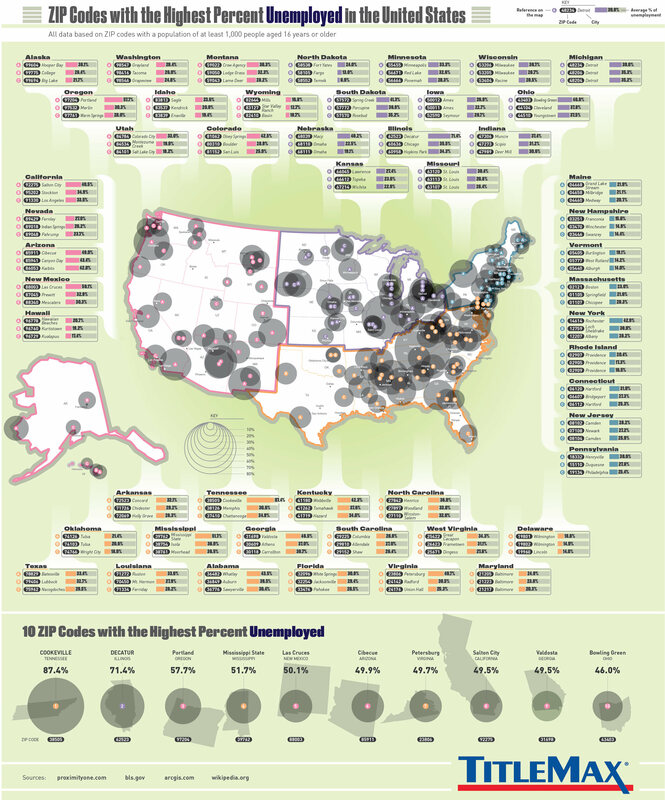 This infographic is broken down by ZIP code, and includes the ten ZIP code areas that currently have the highest percentage of those unemployment, which go far above the four percent average for the country. For example, the ZIP code in the United States with the highest unemployment rate goes to 38505: Cookeville, Tennessee, who is currently seeing an astoundingly high unemployment rate of 87.4%.